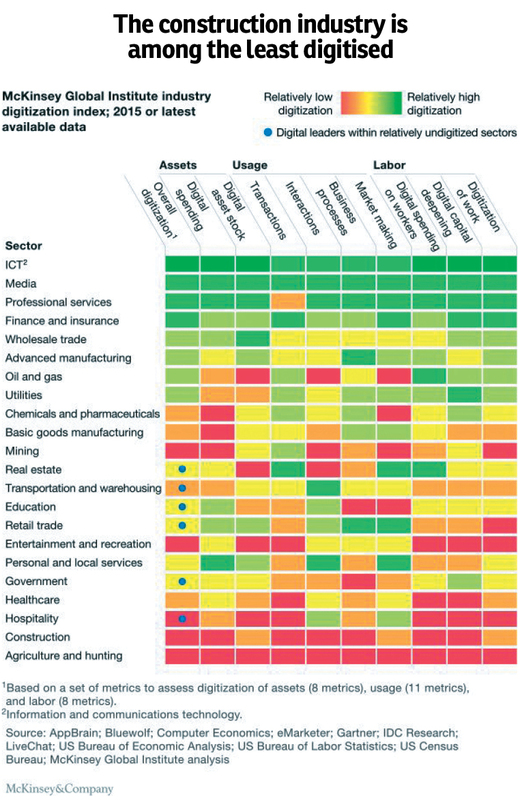 DO you know which industries are among the most un-digitised in the world? According to McKinsey Global Institute’s Industry Digitisation Index 2015, the construction and agriculture sectors are among the least digitised. Meanwhile, the most digitised industries are the information and communications technology sector, media, professional services, finance, insurance and even wholesale trade. “I cannot agree more on the research. Yes, construction is indeed the least digitised industry in the world. Only a very minimal part [of construction/real estate industry] is digitised, such as sales and marketing. There are many processes of the industry that are still in analogue form,” said BUILK Asia Co Ltd (Thailand) principal and CEO Patai Padungtin. “While the construction sector has been slow in adopting process and technology innovations, it does not mean it can’t be digitised. It just hasn’t yet. What we need to do is to find ways to digitise the industry,” Patai shared in his talk titled “Reshaping cities via construction data” at the Future Forward Forum 2017 on Sept 7. The forum themed “Trends: Insite” was organised by Rehda Youth, the youth division of the Real Estate and Housing Developers’ Association Malaysia, in partnership with Nippon Paint Malaysia. EdgeProp.my was the official media partner. 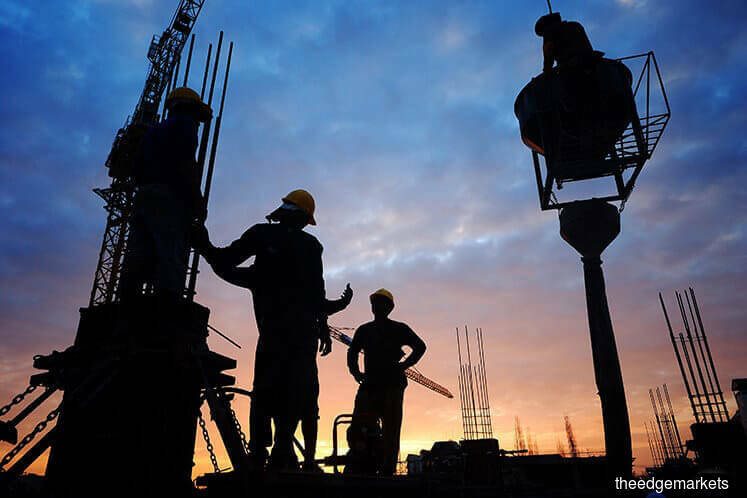 Patai explained that the “under-digitisation” of the construction industry has caused inconsistent productivity, which has not kept pace with the overall economic productivity. “Project handover delays and cost overrun have become the norm in the industry. I used to be a very bad contractor who caused project delays and cost overrun. I always thought it was solely my problem because I was running the business without caring for real numbers. However, I [later] realised it was also because the industry was not digitised,” he said. With his civil engineering background, Patai started off as a general contractor in 2001. The company soon ran into financial problems because of poor management, he admitted. “I was running the business based on guesswork. I just felt like it was going to be profitable, but the fact was, margin was thin, so my business was hit badly whenever the market was not doing well. “I realised I should understand the entire business situation better, so I developed a software called Enterprise Resource Planning (ERP) to help me manage the business from A to Z,” Patai shared. The software not only solved the business crisis he was facing but also opened up another career path for Patai. More importantly, it convinced him that technology is much needed in the construction industry to enhance the time and cost efficiency in doing business. “We decided to put up the software for paid download after we realised how efficient this software made managing the process of construction business and how strong the demand was for such a software,” he said. ERP was also the first construction software on the market in Thailand. Today, the software is widely used in Thailand and overseas, such as Japan. “However, selling a piece of software cannot change my beloved construction industry. I wish to see the industry move forward and embrace the digital era. “With my mindset changed, I decided to develop a similar but free software for small- and medium-sized construction companies. I wish to be able to do what I can to help the industry move towards digitisation,” said Patai. The software, named BUILK, kicked off as Asia’s first-ever free online web-based application for the construction business. In 2016, BUILK had helped construction businesses manage projects worth over US$800 million (RM3.38 billion) across Southeast Asia through a simple workflow design for construction business management. As at today, there are more than 20,000 small and medium construction enterprises in five countries within the Southeast Asia region, namely Thailand, Indonesia, Laos, Myanmar and Cambodia, which have used the managing functions under the BUILK system. Additional applications have also been developed for BUILK, expanding its use to suppliers, construction material manufacturers and even real estate developers. Patai stressed that construction digital technology is much needed today as manual labourers are ageing and lacking in skills while sustainability and environment-friendly trends are getting stronger. In addition, technology cost has declined significantly in recent years. “We want to continue improving the software and be the main vital motivator in digitising the construction industry and shift all construction business types to technology utilisation in their daily operations,” he said. This story first appeared in EdgeProp.my pullout on Oct 27, 2017. Download EdgeProp.my pullout here for free.